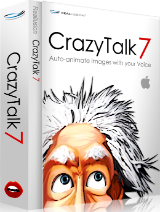 Crazy Talk 7 ist eine Gesichtsanimationssoftware, die Stimmen und Text verwendet. Crazy Talk 7.32 Standard war am 6. Februar 2018! als Giveaway verfügbar! Installation vom Programm abgebrochen, weil ich angeblich eine virtual machine verwende. Ist aber Quatsch! Dominique Scheidegger, meine Auflösung ist 1920x1080 also sollte eigendlich damit gehen ODER ? Hallo, ich komme nur bis zur Seriennummer. Kann das Programm nicht installieren. Schade - ich kann zwar ein Bild importieren und es in dem entsprechenden Fenster anpassen, aber so bald es animiert werden soll, bleibt der Hauptbildschirm des Programmes einfach weiß. Schon wenn ich die Augen einstelle und rechts auf die Schaltffläche "roll" o.ä. klicke - hab ich nur ein weißes Bild. Same version as the last one 7.32.3114.1 Waste of my time downloading it again, checking multiple email accounts for correct registration email and password. Tried to reinstall several times and then informed that I have to uninstall the old version, which turned out to be the same, before I could install the supposed newer version. Was informed that I had to free 2 gigabytes before I could install (supposed newer version) so after going through all that, it turns out to be the same version. I took screen shots before and after the newest installation. The registration codes are different. What is the difference between this, and the Crazy Talk Animator recently offered? Dingo, CrazyTalk and CrazyTalk Animator are two different programs by Reallusion. CrazyTalk produces 3D animated and talking heads while CrazyTalk Animator produces 2D animated and talking characters (or heads) moving in 3D. As much as I'd like to try this software, the activation wants me to set up an account with some unknown place. I'm sorry, but, I won't do that, just to try out some software. Jim, to have an account is the prise for today's software. 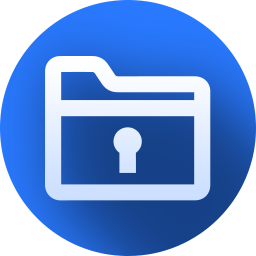 Therefore I do have a mail-address for all the software, that's given away for free. Also all the newsletters will go to that account. Jim, to have an account is the prise for today's software. Therefore I do have a mail-address for all the software, that's given away for free. Also all the newsletters will go to that account.